Everything is going pretty well for Dave Raymond. He's 31, but he still feels young. He's playing guitar with the Wishbones, a New Jersey wedding band, and while it isn't exactly the Big Time, it is music. He has a roof over his head...well, it's his parents' roof, but they don't hassle him much. Life isn't perfect. But it isn't bad. Not bad at all. But then he has to blow it all by proposing to his girlfriend. 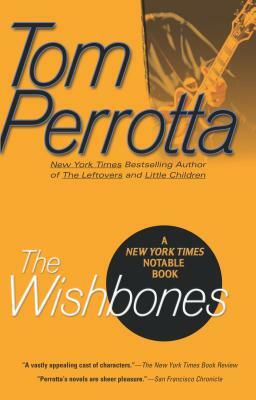 Tom Perrotta is the author of The Leftovers, The Abstinence Teacher, Little Children, Election, and Nine Inches, among other works of fiction. Election was made into the acclaimed 1999 movie directed by Alexander Payne and starring Matthew Broderick and Reese Witherspoon. Little Children was released as a movie directed by Todd Field and starring Kate Winslet and Jennifer Connelly in 2006, and for which Perrotta received Golden Globe and Academy Award nominations for best screenplay. He also serves as an executive producer for the HBO® series The Leftovers, based on his novel.